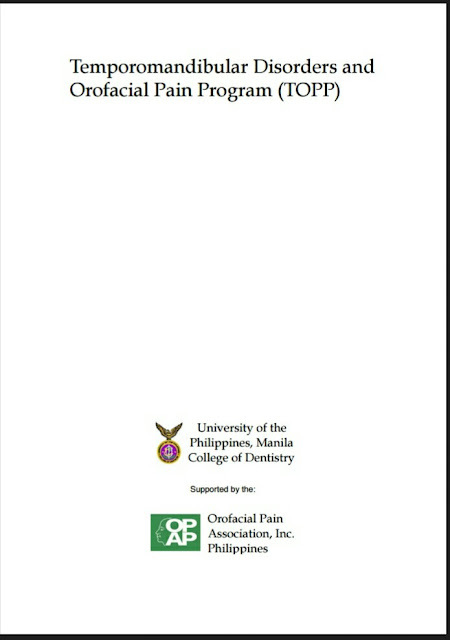 This is the first university-based academic and clinical TMD & Orofacial Pain program through the combined efforts of the University of the Philippines and the Orofacial Pain Association. 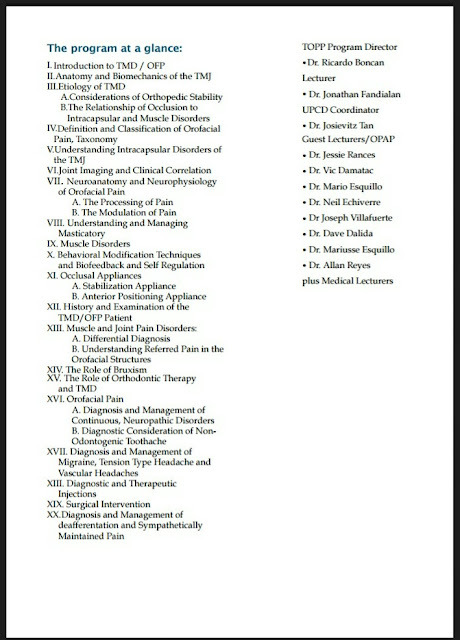 The objectives of the program are; to provide clinical training in the diagnosis and treatment of TMD & Orofacial Pain (OFP) and provide opportunities for research in the areas of TM joint disorders, masticatory muscle dysfunction and related facial pain. We believe that there is a need for well trained General Dentists who will be able to treat TMD & OFP in the clinic, as well as excel in academic and research areas. 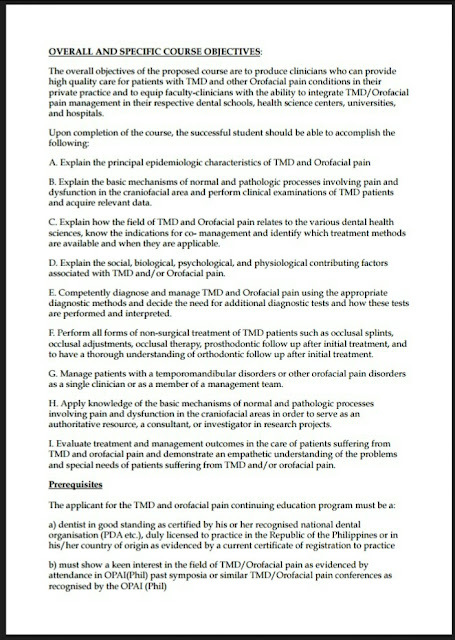 As such, they will find a place in a full time or part time TMD practice collaborating with other specialties such as restorative dentistry, orthodontics, oral surgery and radiology and function as leaders of TMD teams in their own dental communities. 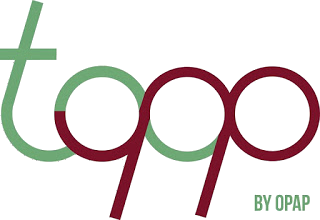 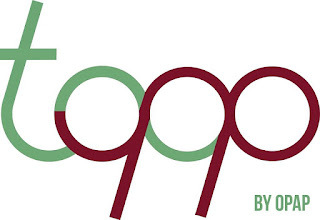 The First batch of UP TOPP is scheduled to begin on July 13, 2016. 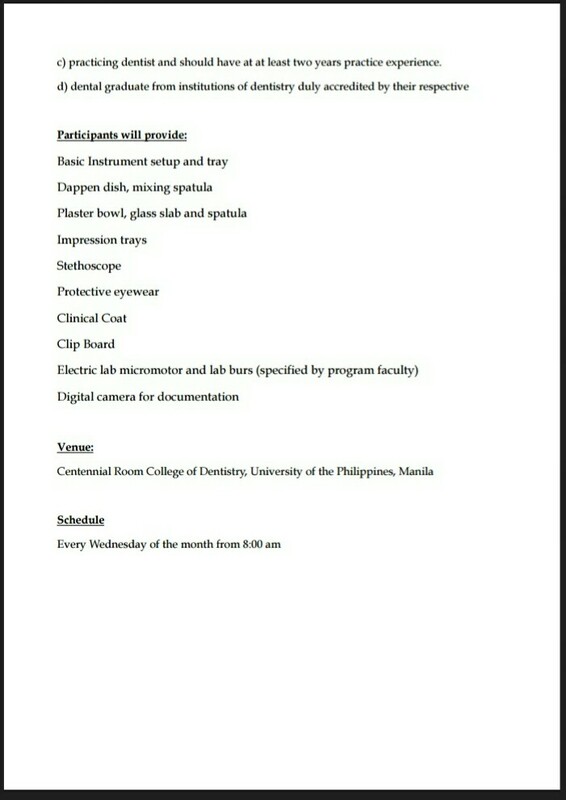 The venue is at the Centennial Room at the University of the Philippines College of Dentistry Manila and will run every Wednesday for 5 months. 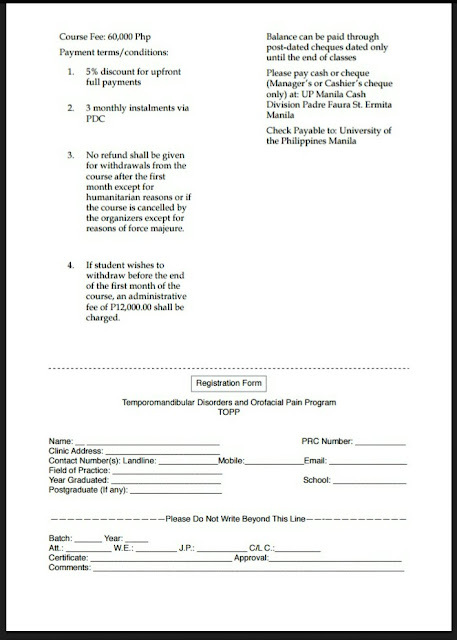 There are still some slots to complete the maximum number of 20 participants. 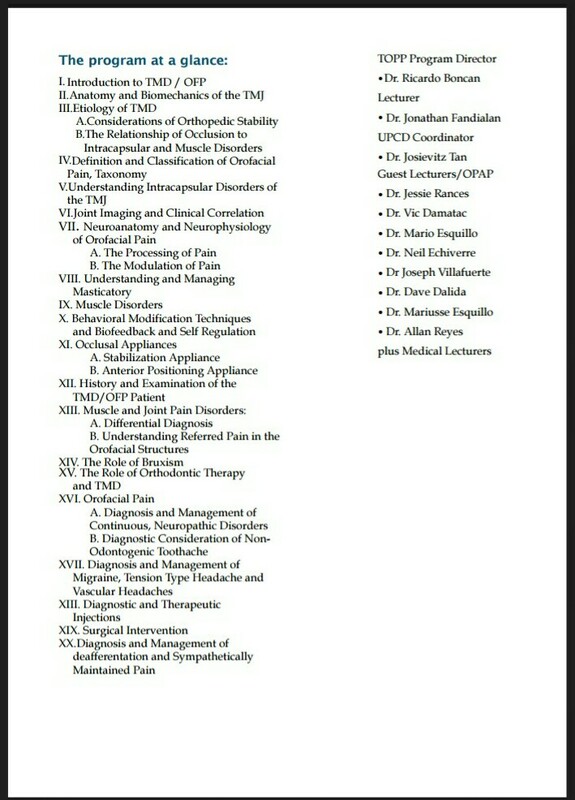 If you are interested to join and have questions please feel free to contact the course director Dr Ricardo Boncan or the OPAP secretariat at 0917-3510-575. 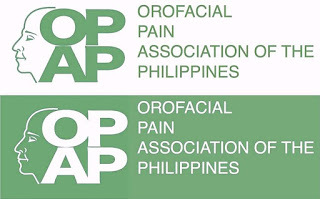 An organization of excellence on the performance of services particularly the standardization of diagnostic procedures and treatment with enhanced manner of information dissemination and constant updating and validation of prevailing theories and concepts in diagnosis and treatment of orofacial pain disorder..